Reflecting back on the year 2013, the Valdez Family wishes to thank everyone for the many successes you have helped us to achieve. 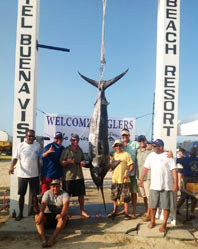 From Captain Alejandro Castro’s Bisbee Offshore win on our Eclipse with our good friends, Grant, Chris and Rodney, to the addition of Elmo our new chef, free wireless Internet service throughout the property was also a great succes and an increase in family and group bookings; we owe it all to you! “Thank You” for allowing the Valdez Family and staff the opportunity to serve you this past year and in the future. To show our appreciation, we would like to extend to you an opportunity (promotion) that was very popular last year. One of the reasons 2013 was so successful was in part due to the “Year-end” promotion we offered. And one of the reasons that was so successful was because during these challenging financial times; our guests discovered that by simply planning ahead and quickly jumping on the promotion, it saved them some big bucks! Another decision we made; is to NOT raise our prices on either our boats or room rates next year. Even though gas prices are going up incrementally (they’re 20% higher than four years ago already) and the new Federal tax will increase from 11 to 16 percent, we wanted to make sure that you were not impacted by these changes. That’s a trend you won’t find many others following next year! Instead, we have simply decided not to offer discounts packages this coming year – outside of this great “Plan Ahead” deal. Read on for more details as you must act quickly. This promotion will expire on November 30th, or until the allotted number of reservations (10%) have been reached. Naturally, just like last year, there are a limited number of booking we can accommodate with this great deal. So don’t be left out – this offer is only good until THE END OF THIS MONTH! Here’s the deal… and it IS a big one! 50% Discount on your rooms through March. 20% Discount on your boat, fishing through March. 35% Discount on your rooms if traveling April through October. 10% Discount on your boat, fishing April through October. Taxes will be paid at the reduced rates. And this is all you have to do!! Simply secure your reservation with a 50% deposit by the end of November. Reserve with a minimum of four nights stay and one day of fishing. Not ready to commit? No problem! Your deposit locks in this great deal. Call now 1 800 752 3555 – there’s a limited number of rooms for each month, and black out dates will apply. With this deal it’s only important that you get your deposit on the books by Nov. 30. We’ll be more than happy to work out the dates and details of your trip with you after the New Year. 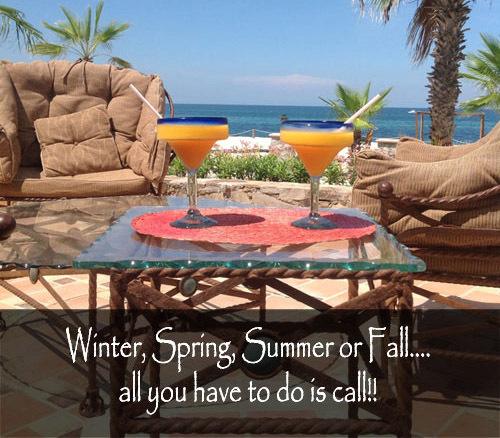 So get your reservations on the books before the end of November so we can see you back here, at your “home-away-from-home” in Baja in 2014. For family, friends and fans alike, it is still hard for us to grasp the loss of our fishing hero Jose Wejebe.